Government is engaging creditors owed millions of dollars by six mines owned by the Zimbabwe Mining Development Corporation (ZMDC) that were last year tendered for partial privatisation, in a bid to stop continued property attachments and give the mining firms a chance to recover. Government, through the ZMDC, last year placed two gold-rich deposits of Jena Gold Mine and Evington Gold Mine as well as Lynx Graphite Mine, Sandawana Mine, Mbungu CBM and Gwayi CBM on the market. However, in February Government cancelled the tenders that had attracted 151 investors. 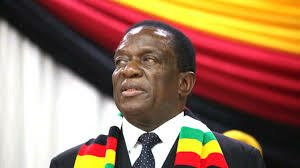 The partial privatisation process for the six assets is one of the key strategies with which the Minister of Mines and Mining Development seeks to grow the country’s mineral export earnings to US$12 billion by 2023 as a contribution to President Mnangagwa’s Vision 2030 by which Zimbabwe should attain upper middle-income earning status. In an interview, Mines Ministry Secretary, Mr Onesimo Mazai Moyo, said the tendering process had problems as the form and underlying value of the assets kept changing due to property attachments by creditors. It is against this background that Government, as already announced, made the decision to withdraw the assets from the market to repackage its offer. The Secretary said his ministry was currently locked in negotiations with concerned creditors to find common ground and if need be, consider a scheme of arrangement that will give the assets a moratorium from creditors attachments and a chance to life. “We ran into a problem with the tendering in that investors did came to view the assets prior to bidding but what was happening is that the assets were changing in form and the underlying value for which the investor would have placed a bid as creditors would pitch up from time to time to attach property,” said the Permanent Secretary. “So it would then distort the process in that once there are changes to the asset tendered for, the investor would then want to alter their bid in line with the new value as they see it. “So what we are now doing is we are working on repackaging our offering to the market by way of getting creditors’ buy-in through maybe a scheme of arrangement, if we can agree on one. “We are currently talking to them (creditors) and I am sure our engagements will yield positive results. “Our hope is that once this is done, we will then be able to go back to the market and present our offer in a calm environment and this could even get us even more investors in a re-tender,” he said. Mr Moyo said another challenge that needs redress is to do with the fact that some of the concerned assets are under explored thus quantifying their real value for tendering processes is somewhat problematic. It is against this background that he said hope is that the ministry will get funds for exploration work and get results with which they will go to the market and be able to argue from an exploration backed standpoint. “The other challenge is that some of the assets are not fully explored, thus there is need for exhaustive resource definition exercises so that as Government we are then able to tell the market that this is the value of what we are selling, backed by exploration results,” he said.